Becca's life is anything but ordinary. At 15, she's already experienced her share of pain. With a mom who drinks too much, a revolving door of father figures, and struggles at school, Becca wonders if she'll ever have a chance at a normal life. The only thing that keeps her sane is her little sister, Chloe; that is, until her mother's breakdown leads to her sister's disappearance. A Pain Less Ordinary follows Becca as she figures out life on her own while searching for her family and her new role in the world. In this powerfully moving novel, L.V. 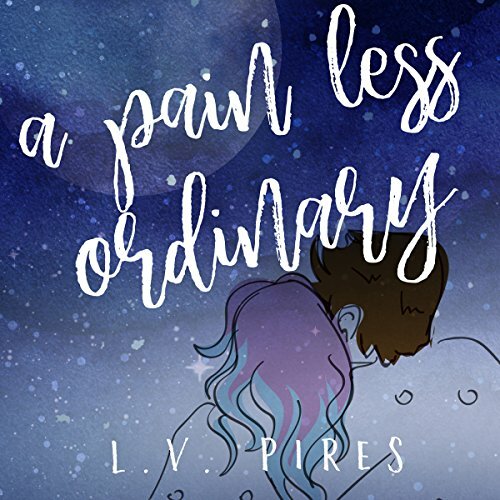 Pires explores Becca's struggle with abandonment, drug abuse, homelessness, relationships, and how pain connects her to others. build up. Becca has so much to deal with, unsupportive parent figures and difficulties at school. But when her mum disappears with her little sister Chloe, she tries to fight back and fix her life. Through the book she gets stronger and learns to cope. I felt a lot of sympathy for Becca and the things she goes through are heartbreaking at times. I was a bit confused by Becca's mum, she sounded very protective of her at first, when she was younger, but then seems extremely neglectful and uncaring in the present. Also I was really expecting the headaches to have some significance to the story as they are mentioned a lot. The reading was a bit too dramatic for a story like this and made it feel too tense, even when nothing much was happening.